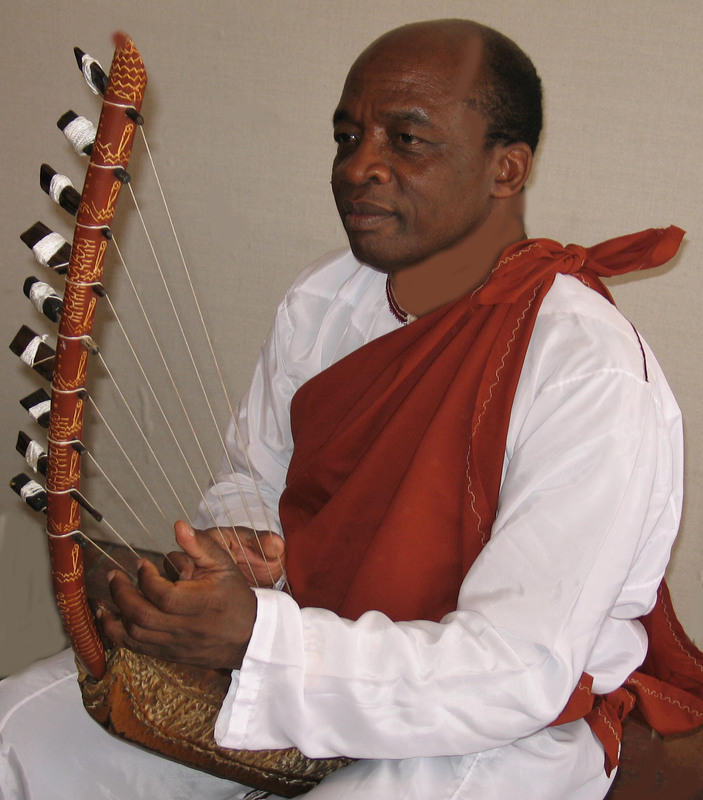 With the endongo (8-string bowl lyre) as his main instrument, James Makubuya is a proficient performer of several instruments, including the akogo (thumb piano), adungu (9-string bow harp), endingidi (1-string tube fiddle), amadinda (12-slab log xylophone), and engoma (drums). He is also an accomplished dancer and choreographer, having studied with several master musicians and dancers from various East African musical traditions. 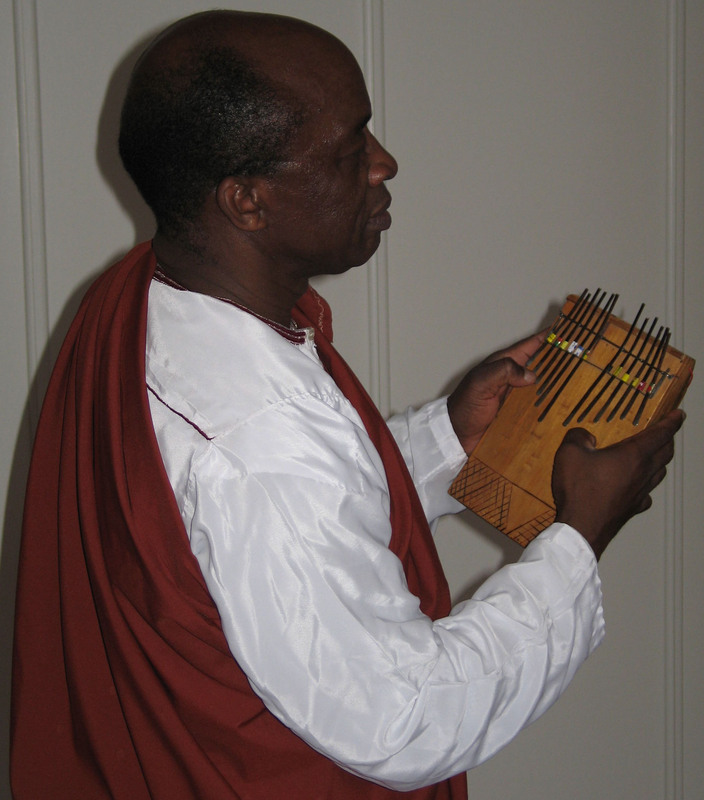 Beyond the basic music concepts concerned with music-making like tuning, rhythm and melody on musical instruments, James’s presentations give a much deeper insight into various aspects of the culture of the people to whom the instruments belong. In the presentations James Makubuya discusses his explorations of the extent to which, beyond musical sounds, the shapes, decorations, and iconography of musical instruments are symbolic of the folk cultures from which they originate and, consequently, represent. Calgary, Canada Presentation, February 2-4, 2017. Performed a concer with Wu Man and Lee Knight. Santa Fe Chamber Music Festival. During the summer weekend of August 6-8, 2010, I participated in the Santa Fe Chamber Music Summer Festival in New Mexico. I did that by performing the adungu and endongo (Ugandan bow harp and bow lyre respectively), together with Wu Man on the pipa (Chinese lute), Lee Knight on the Appalachian banjo and musical bow, and Julian Kytasty on the bandura (Ukrainian lute). Eastman School of Music, University of Rochester, New York, USA. January 22, 2010. 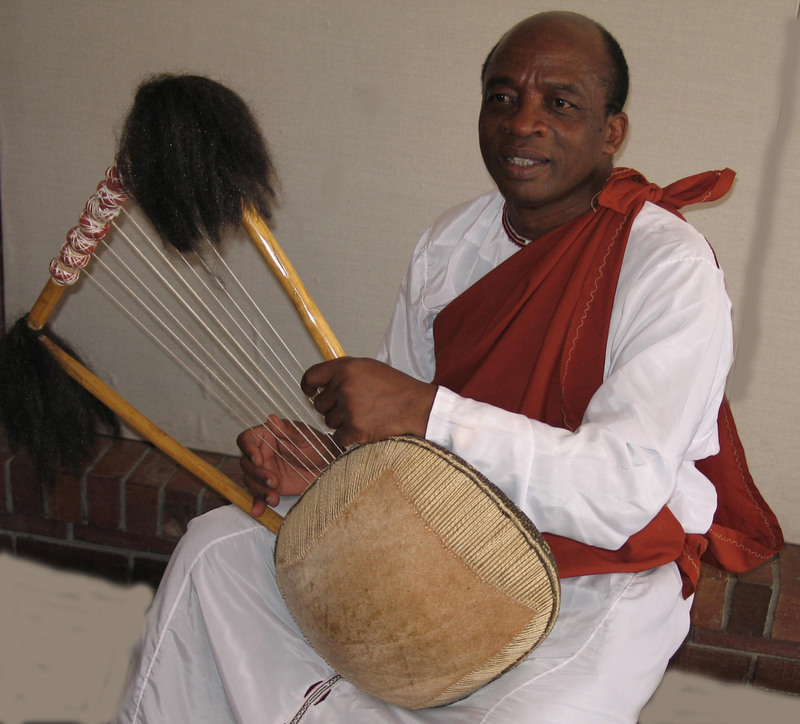 Performed a concert on the endongo (8-string bowl lyre), adungu (9-string bow harp) and endingidi (1-string tube fiddle). In this concert, I collaborated with Wu Man playing the Chinese pipa, and Lee Knight playing the Appalachian banjo and musical bow. Kansas University, Kansas. March 19, 2009. 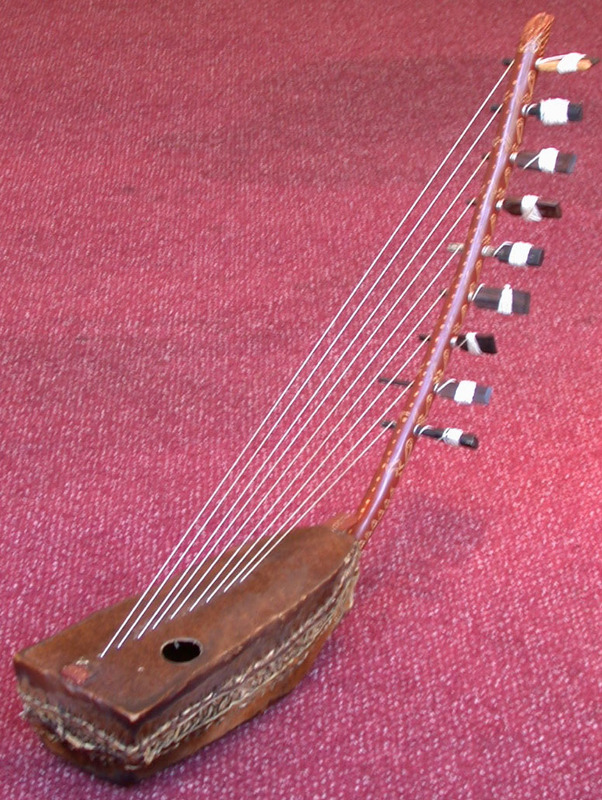 Performed a concert on the endongo (8-string bowl lyre), adungu (9-string bow harp) and endingidi (1-string tube fiddle). 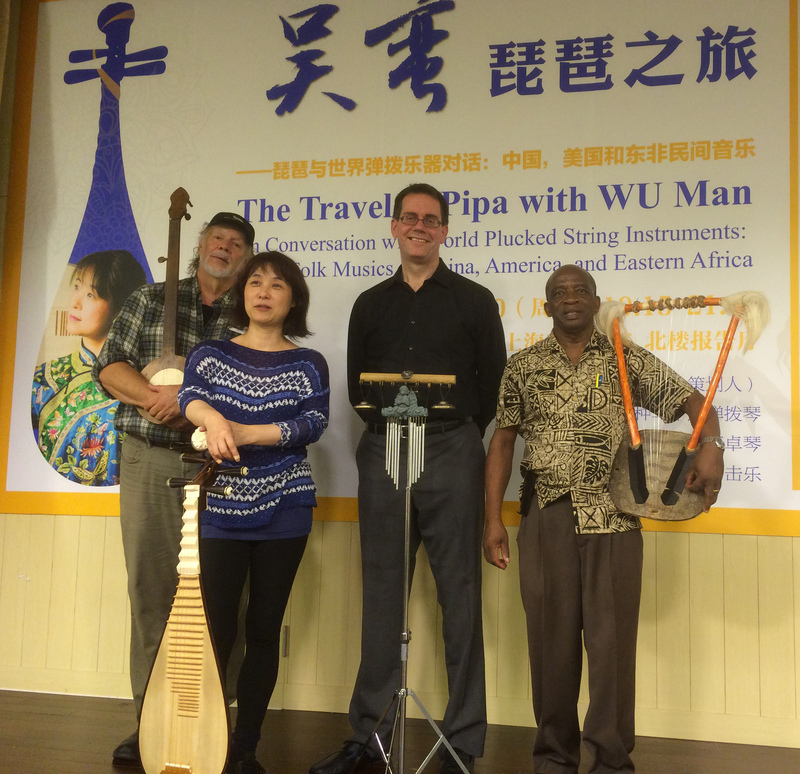 In this concert, I collaborated with Wu Man playing the Chinese pipa, and Lee Knight playing the Appalachian banjo and musical bow. Weber State University, Utah. October 25, 2008. Presented a workshop and Concert performance on the endongo (8-string bowl lyre), adungu (9-string bow harp) and endingidi (1-string tube fiddle). On July 12, 2010, at the Lew Wallace Museum, Crawfordsville IN.. I conducted a whole day’s Summer workshop for elementary and high school students. Exposed and introduced them to basic performance skills on African drums and the Aije (harvest) community dance. On July 11, 2009, at the Lew Wallace Museum, Crawfordsville IN. I conducted a whole day’s Summer Workshop for elementary and high school students. Exposed and introduced them to basic performance skills on the madinda (12-slab log xylophones). 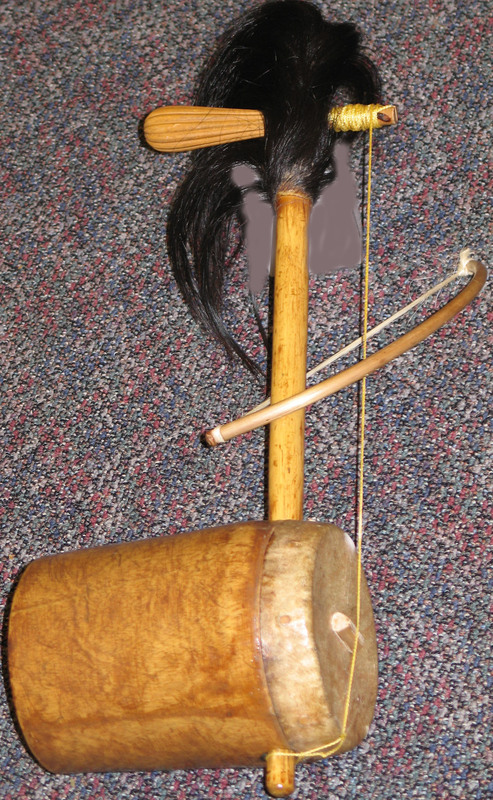 "The Teaching of Performance Skills on East African Folk Instruments to Elementary and High School Students." Indiana Orff Schulwerk Association, Carmel, Indiana, USA.October 16, 2004. 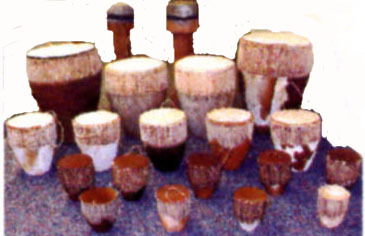 "Baakisimba Drumming Techniques on the Mbuutu, Nankasa, Mpuunyi, and Ngalabi Drums of the Baganda." London Trinity College of Music, London, U.K. March 12, 2004. I have attended various national and international conferences, colloquia, and seminars. 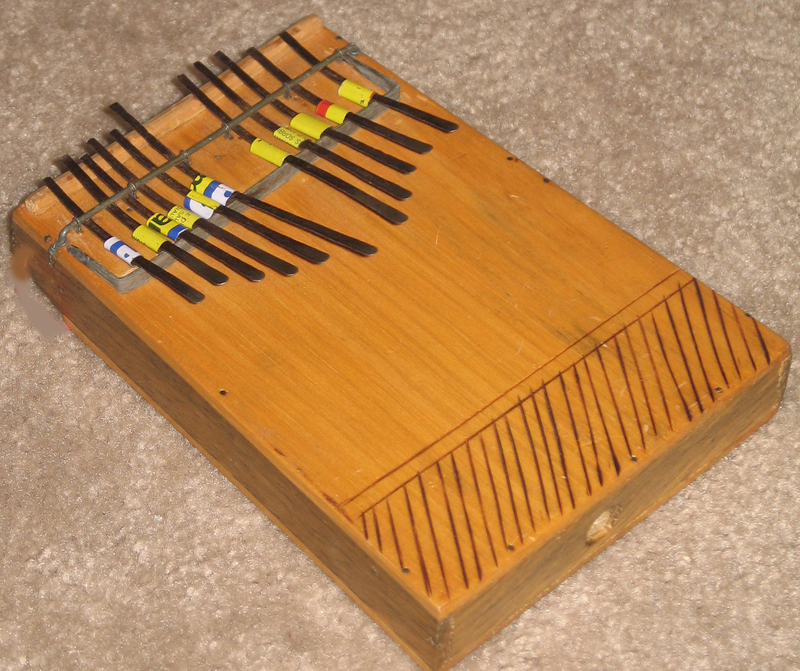 Because my area of ethnomusicological research is geographically located in the sub-Saharan African region referred to as East Africa, the papers, lectures and lecture demonstrations I have presented so far have basically focused on the case studies of my past and continuing research on the folk instruments from that area. This region boasts of hundreds of folk instruments owned and used in the hundreds of cultures geographically located therein. The themes of my presentations have and continue to be focused on the often unarticulated set of cultural values, aesthetics, and myths associated with the instruments by the folk cultures from which they originate, and, consequently, represent. From my recent and on-going fieldwork research, I have and continue to be fascinated by the way those elements help to interpret the cultures of the people that own and use the instruments. 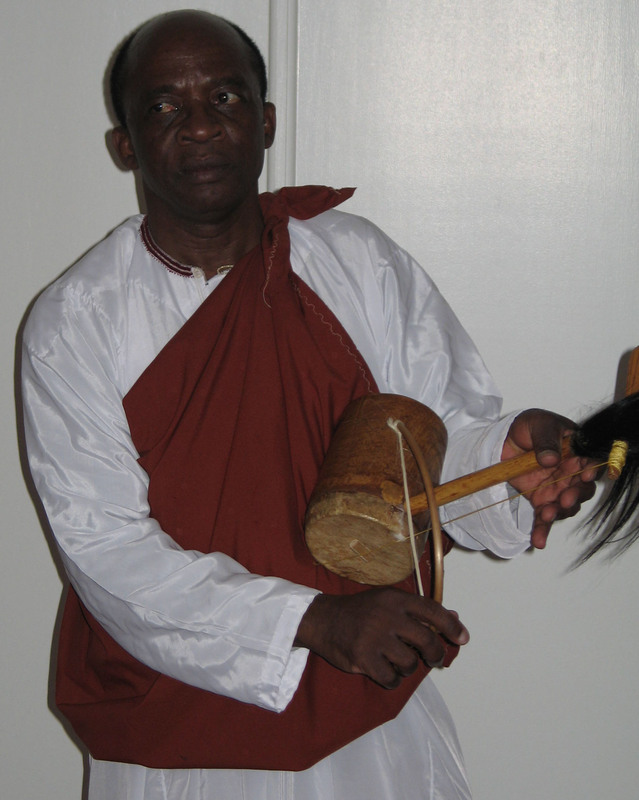 "Contextual Functions of Traditional Instruments in Selected Ugandan Cultures." Guest Lecture and Lecture Demonstrations. Bergen Community College, New York City, New York. USA. April 7, 2006.
" 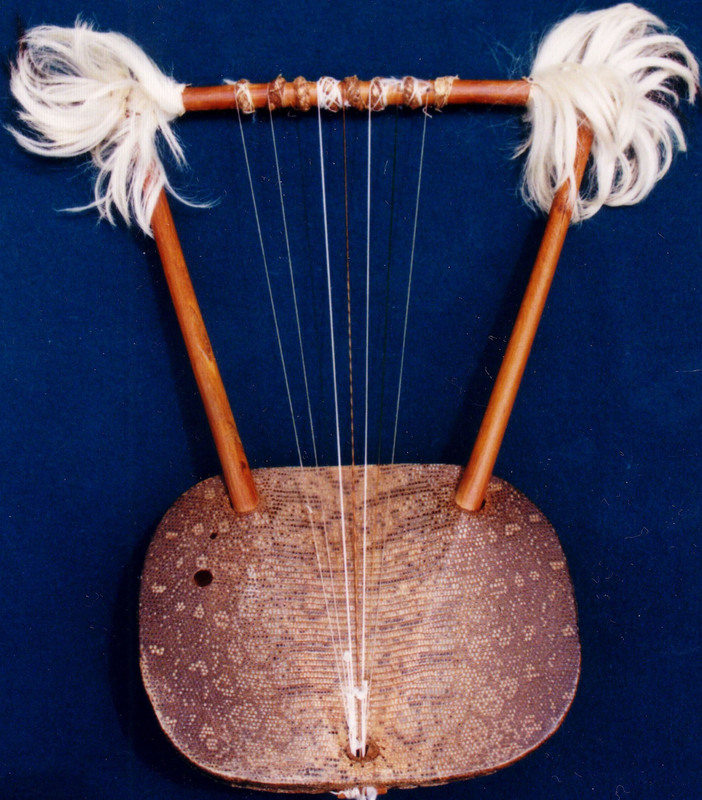 Folk East African Chordophones: An Examination of their Contemporary Roles." 38th International Council for Traditional Music. University of Sheffield, England, United Kingdom. August 4-6, 2006. "Ugandan Folk Music: A Powerful Medium for Mass Mobilization." International Council for Traditional Music Colloquium. University of Limerick, Ireland. September 1-6, 2004. 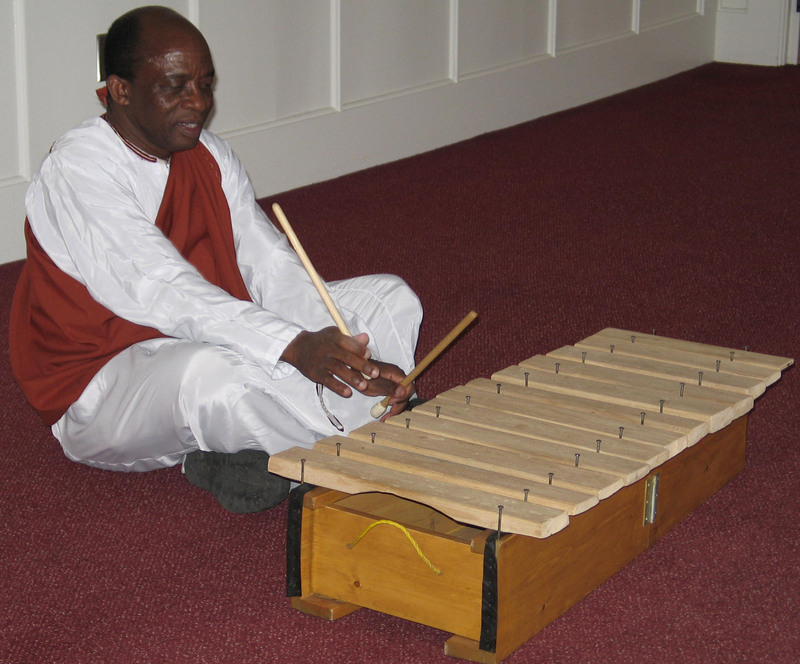 "The Traditional Music of Uganda: An Examination of the Role of Musical Instruments." Kent State University, Stark Campus, Stark, Ohio. February 18, 2004. 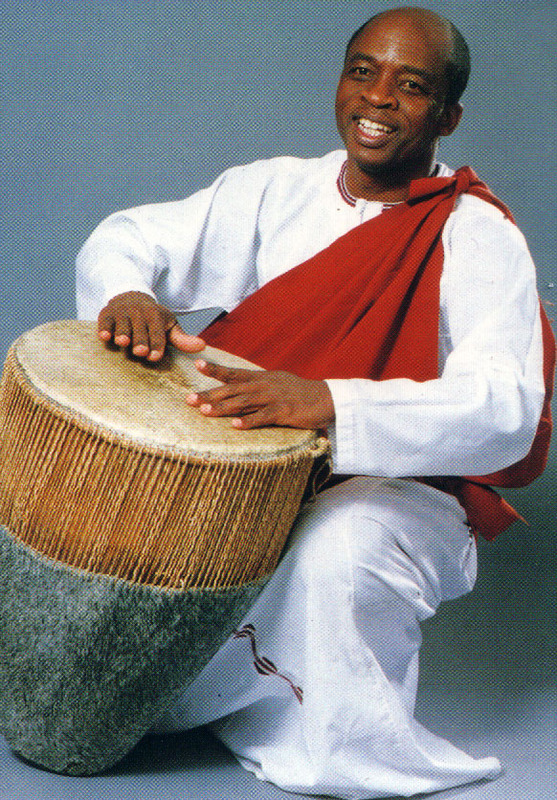 "Engoma (drums): The Heart of A Culture in East Africa." The Galpin Society Conference. Edinburgh, Scotland, United Kingdom. August 3-6. 2003. "The Role of Music and Dance in East Africa, with Special Focus on Uganda." University of Missouri, Kansas City, Missouri, USA. March 17, 2003. I treasure opportunities given to me for offering a variety of presentations related to the Folk Music and Dances that originate from and subsequently represent the East African region. My academic education and professional training provided me with a triple professional role as (1) a teacher, (2) a performing musician, and an individual actively (3) engaged in ethnomusicological research. The presentations I am available to offer at your invitation, provide me with an invaluable opportunity for sharing my research findings on East African musical instruments with audiences. The presentations range from full-scale guest concert performances and workshops to guest lectures and lecture demonstrations. Events and venues for my presentations -- on the Folk Music and Dances of East Africa, have ranged from conferences, colloquia, and seminars, to academic and cultural institutions, as well as archives, museums, folk and culture festivals. James Makubuya (on sabbatical year of leave and available from August 1, 2006 through July 31, 2007.